Tuesday 25th October. Work continues! Work continued on Gertie tonight with fitting a rear spotlight. The next rally is a night time one and it helps to have bit of assistance with rearward vision! 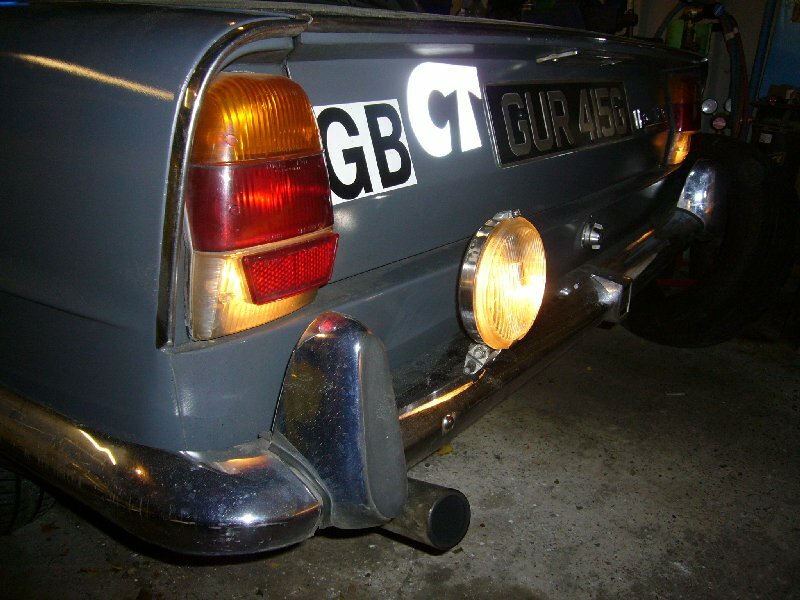 Therefore a spotlight was fitted to the rear bumper and wired in accordingly. With this done I moved onto the engine bay and refitted the thermostat that I removed at the San Bernadino﻿ pass in Switzerland on the 10CR. The engine and radiator have now been flushed out, so I shouldn't have anymore overheating issues. Plus, it's much milder now than it was in early September and we also wont be climbing any mountains on this run. 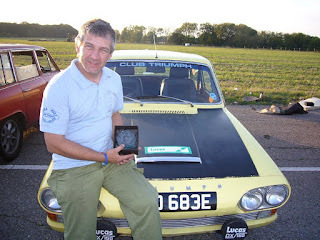 Hopefully refitting the thermostat will also improve the heater in the car as well as these early Triumphs are not great at keeping you warm! 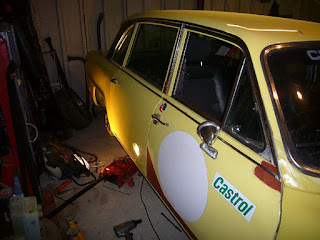 After these two jobs I moved back onto 'Yellow' again and fitted the remaining refurbed driveshaft. 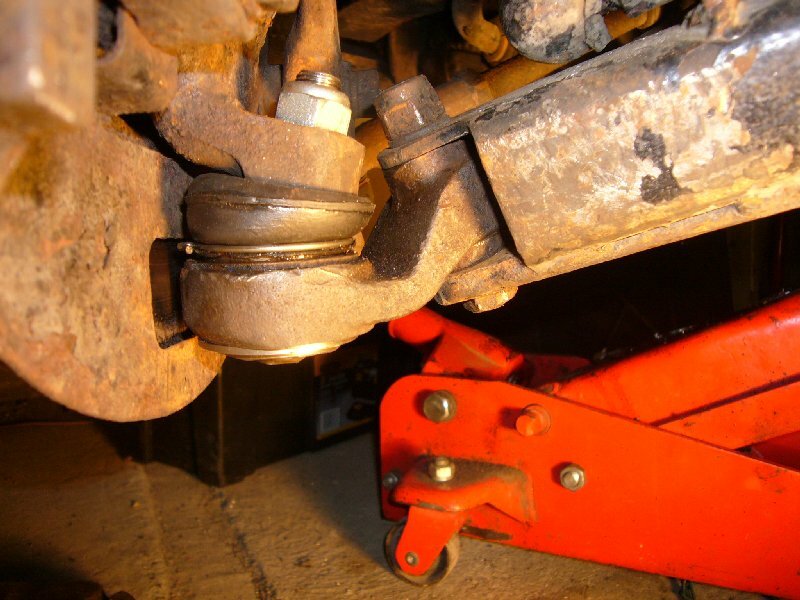 This car now has two brand new rear wheel bearing and new universal joints across the back end. I'm quite looking forward to test driving it now to see how it goes. Monday 24th October. Back to the Triumphs! With the weekend now gone (Saturday was spent working on a Hyundai and Sunday was spent cutting down my tree!) it was time to play 'catch up' with the Triumphs. With the impending Belgium, Holland and German rally only a fortnight away, a few jobs are required on 'Gertie', my chariot for the event. First on the list was to fit a new radio ariel after some kind soul snapped mine off outside Tesco's the other week. With this done I turned my attention to the nearside front suspension. I've noticed a bit of a small clonking noise lately that's only been there since I swapped the ball joints over. So I removed the second hand one I'd put on and fitted a brand new one. With this done I decided t﻿o start to return 'Yellow' back to the road as a back up car and refit the refurbed driveshafts that I've recently had done. I got the passenger side done but by that time it was 21.15, so I decided to call it a day and go indoors for a shower and dinner. Work will continue tomorrow! Saturday 22nd October - A Non-triumph day! My partner and navigator on my last rally Amanda had recently taken her car, a Hyundai Coupe' into a garage where she had been quoted an extortionate price to have new brakes discs and pads fitted all round. Being the gentleman I am (!) I offered to do the job for her. 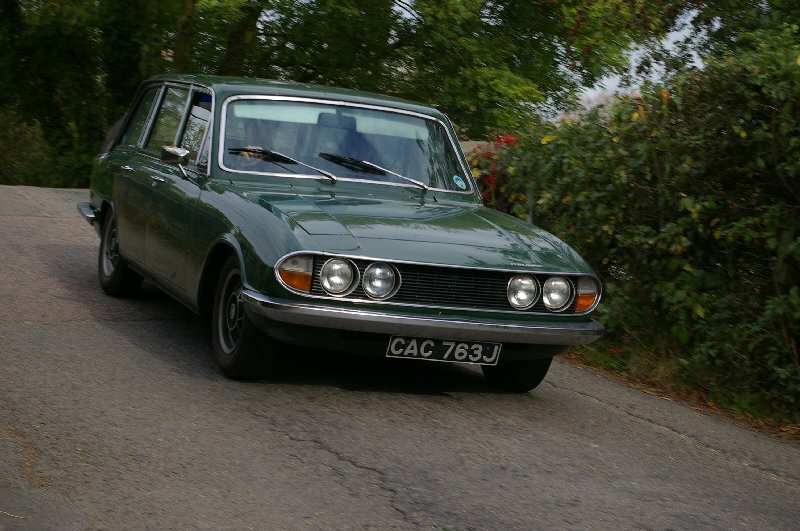 She had also been given a price of £227.00 for the parts, but after a quick shop around I managed to find all of the same parts for £117.00 including delivery. It just goes to show how much you can save if you spend a bit of time looking! 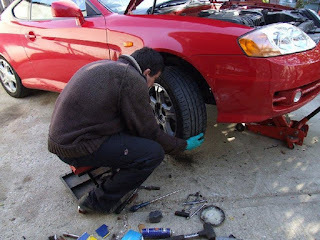 With the tools at the ready, the job was started and before long I had the fronts done. Amanda had certainly had her money's worth out of the original pads I'll say that for her. 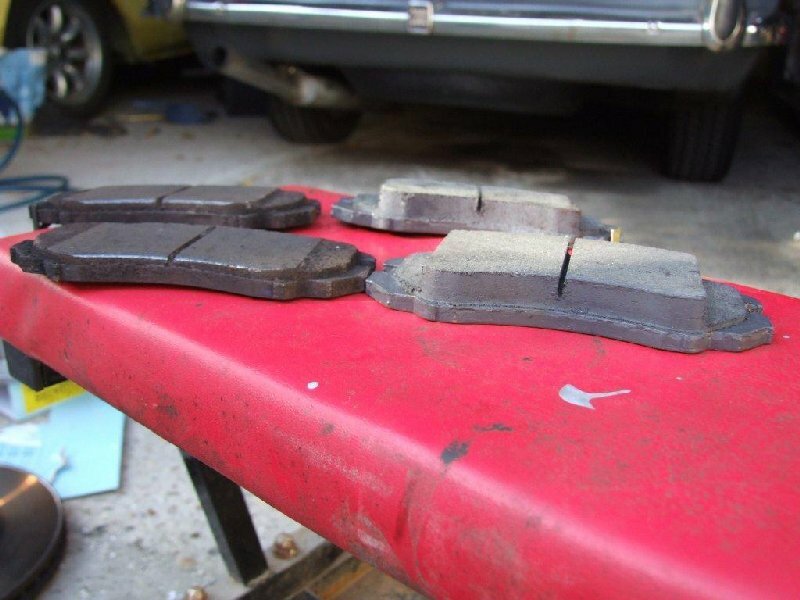 You can see from the pics below how little 'meat' the pads had left on them! With the front brakes finished I started on the rears. 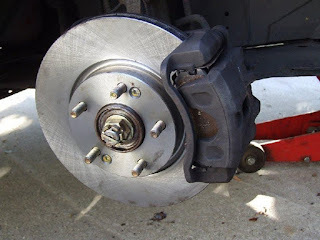 This was a bit more tricky due to finding a siezed caliper on the near side. With a bit a persuasion I managed to free it off and get the piston retracted enough to fit the new rear pads in and then put the car back together. All in all it wasn't a bad job. The car then ferried us successfully to a work colleagues party that night in Southend and also passed it's MOT the following Tuesday! Result! Monday 17th October - A new heart for Gertie! 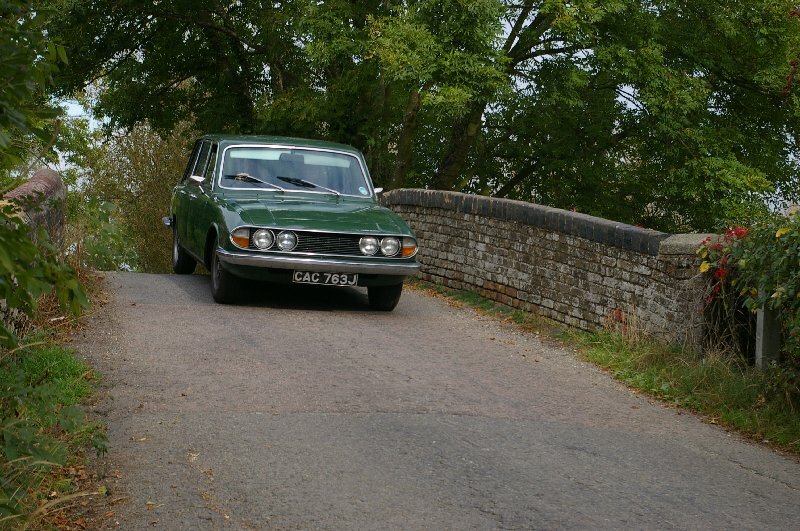 As in the previous post my Green estate was used in a navigational rally rather than one of the Mk1 saloons. The reason for this was due to the winning bid of a 2.5pi engine on ebay. 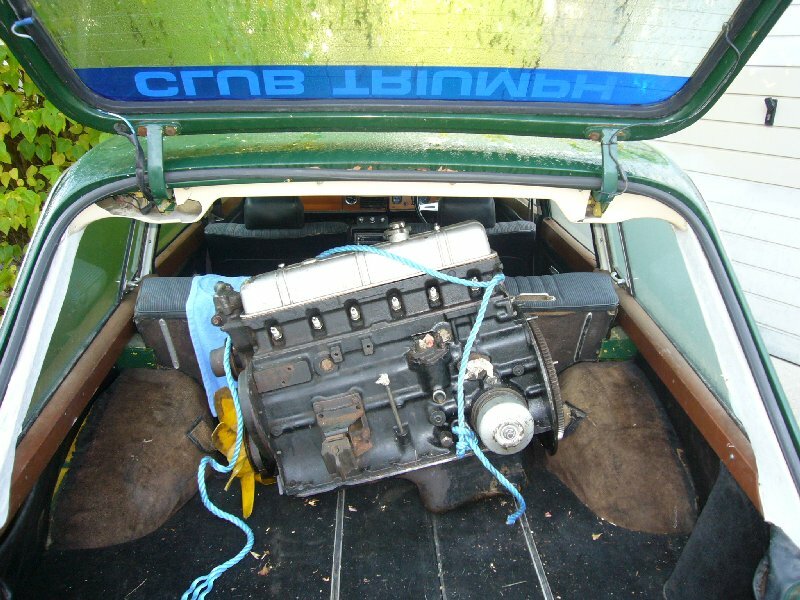 The engine was in Bourne End in Buckinghamshire and seeing as we were in that county for the rally, it made sense to take the estate and collect it. 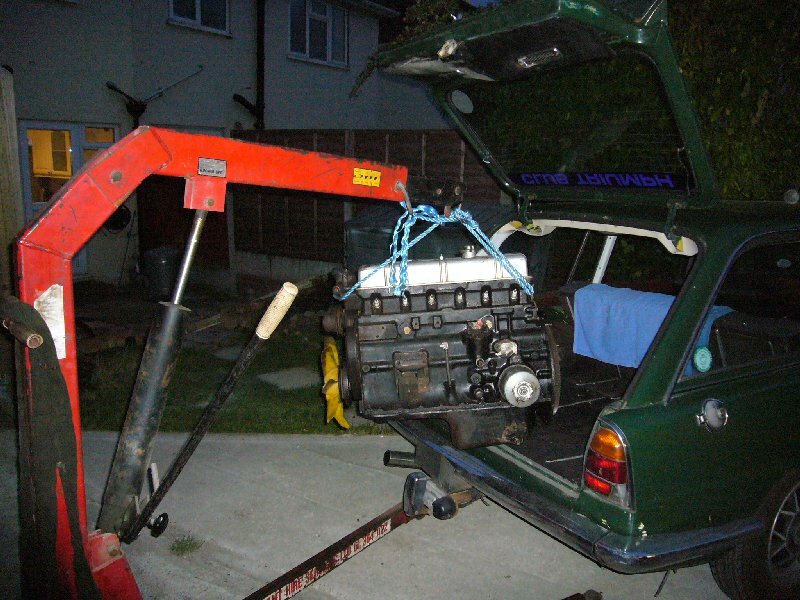 The engine was loaded into the back of the estate and transported home, and due to the time, was left in the car until Monday night. 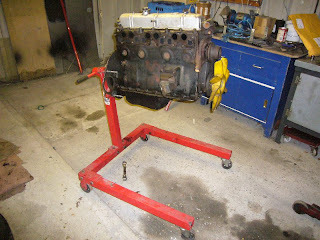 With Mondays work out of the way the next task was to remove the engine from the car, set the engine stand up and mount the engine on the engine stand. The engine was purchased for Gertie. On the recent 10CR run she did well but I did feel that she could have done with more power. I'll be dropping the sump off shortly to inspect the big end bearings and crankshaft and I'm hoping to have the engine ready to go in Gertie over the Christmas break. This will take us into Belgium, Holland and Germany using 'tulip diagrams'. It starts Saturday evening and runs through to early hours Sunday morning and will be taking place on the weekend of the 5th & 6th November. Watch this space! A freezing cold Sunday morning saw my navigator Amanda and I setting out for Bovingdon services and the start location for the Club Triumph three counties rally. It was Amanda's first attempt at plotting rally routes so we arrived early to try and get a bit more time to work out our course. The three counties rally is notoriously difficult and we probably should have chosen an easier one for Amanda's first attempt. We eventually worked out our route (or thought we had!) and set across the counties of Hertfordshire, Bedfordshire and Buckinghamshire and got to see some beautiful scenery and drive some great roads. All too soon it was early afternoon and we were heading to the finishing location at the Valiant Trooper in Aldbury, Hertfordshire. We waited with baited breath to find out if we had bettered our dismal last place of the previous year. 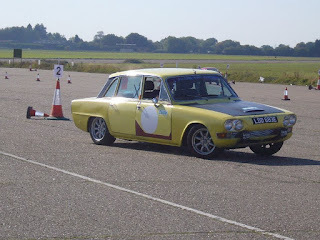 (Although Amanda wasn't the navigator on that one) The results were announced and we finished third in class. Pretty good in the end, although I did feel that we could have done better. This was also the first event that my estate has taken part in as well and I have to say, she performed faultlessly. Normally, I would have used one of the saloons for this event, but we used the estate for reasons which will become apparent in the next post! Sunday 9th October. Continued efforts on Gertie! With last weeks autosolo out of the way, I reverted back to the continued efforts of trying to locate the vibration the Gertie emits at around 70mph. So far (and amongst upgrading the steering etc) I have changed the wheels, tyres, steering rack, track rod ends, front springs, struts, gearbox crossmember and the propshaft. Next on the agenda was changing the drivers side rear drive shaft and hub. A test drive ensued, but again, there was no difference and the vibration was still present. 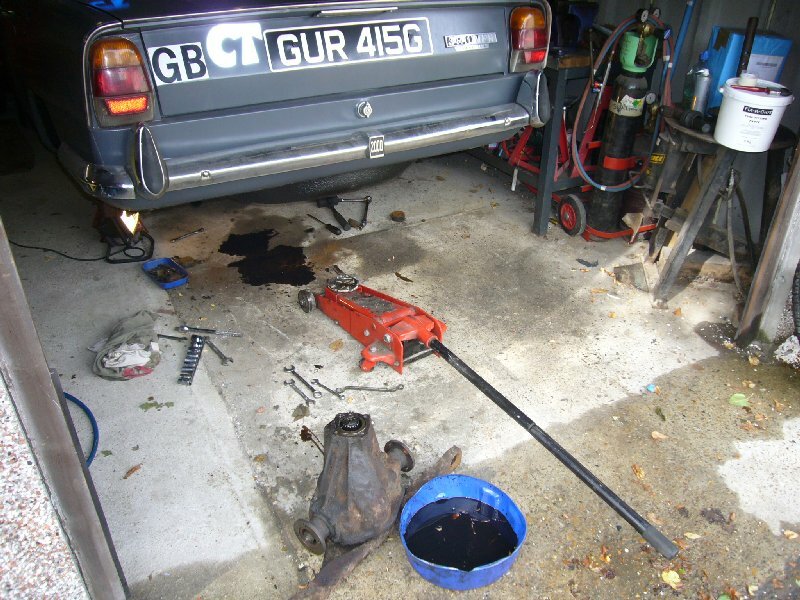 Back into the garage again and this time I changed the nearside driveshaft and hub. 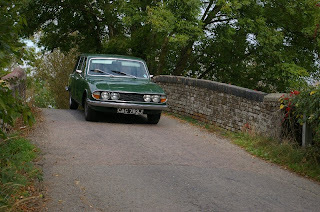 Another test drive followed (I was getting low on petrol now!) but once again, it made no difference. In desperation I then decided to remove the differential. It had to come out anyway as the rear oil seal had gone and was leaking, but as a process of elimination, I fitted my spare 2.5 diff. Now, this is not a five minute job, so after a long day of laying under a car with grease, oil, underseal, and crap falling on my clothes, in my hair and up my nose, the spare diff was in place and a test drive (after a shower) revealed..............no difference! I'm getting quite despondent now and quickly running out of things to try or change. I'm going to try a few more things and then I think it will have to go into a specialist for them to look at. Because it's now starting to drive me insane! 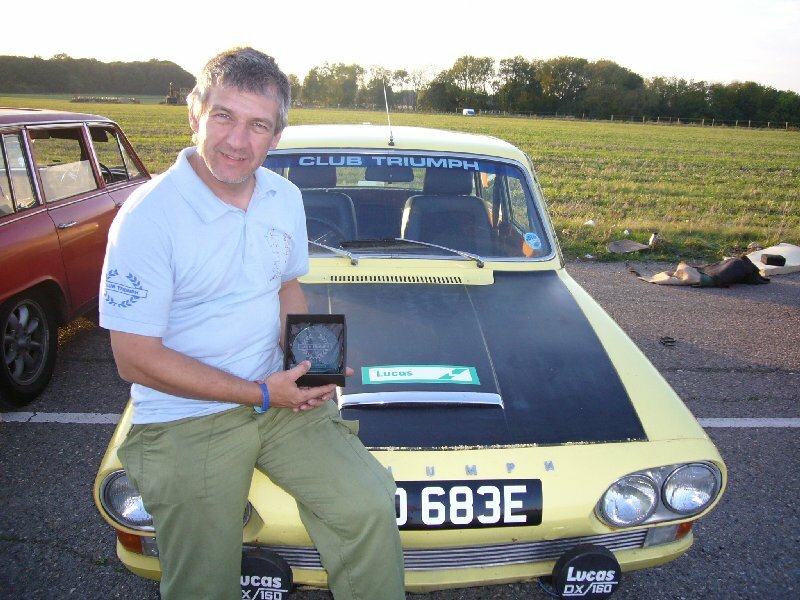 Sunday 2nd October - Club Triumph Autosolo. 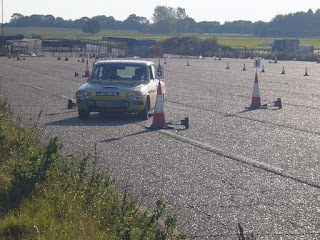 A blistering hot day saw Dave and I making our way to Bovingdon airfield for the CT Autosolo. With lots more cars in our class than the previous year, the competition was going to be a lot more serious. We decided to take the yellow car as it is the kind of thing that it was really built for. The car was performing on song and by the half way stage we were featuring well in the results. 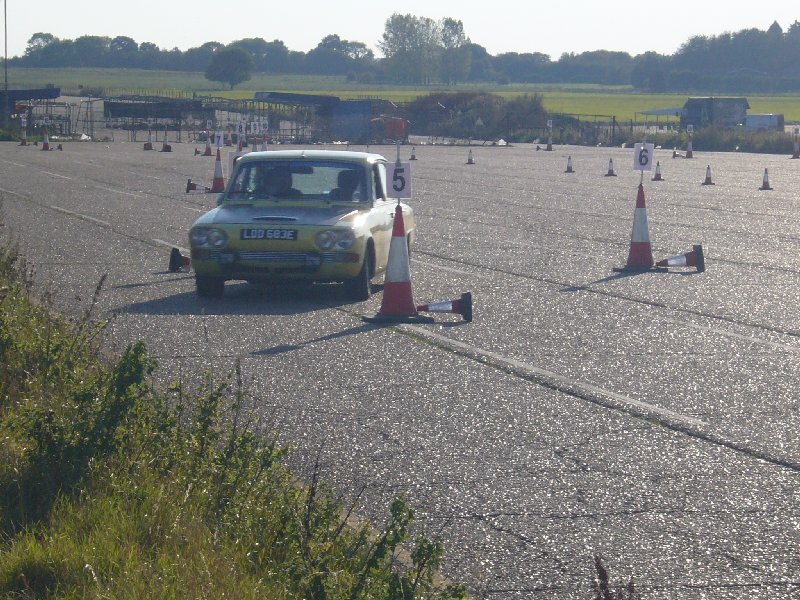 Dave was coming 5th in class and I was coning 2nd in class. In the second half Dave was pushing himself to try and improve his placing so much so that there was a danger of him catching me up! I therefore had to raise my game a tad and try and keep ahead of him. 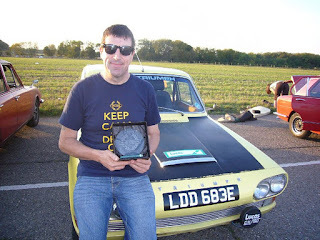 We both kept up the pace and when the results were announced, we were both delighted to learn that we had both picked up trophies for our efforts. 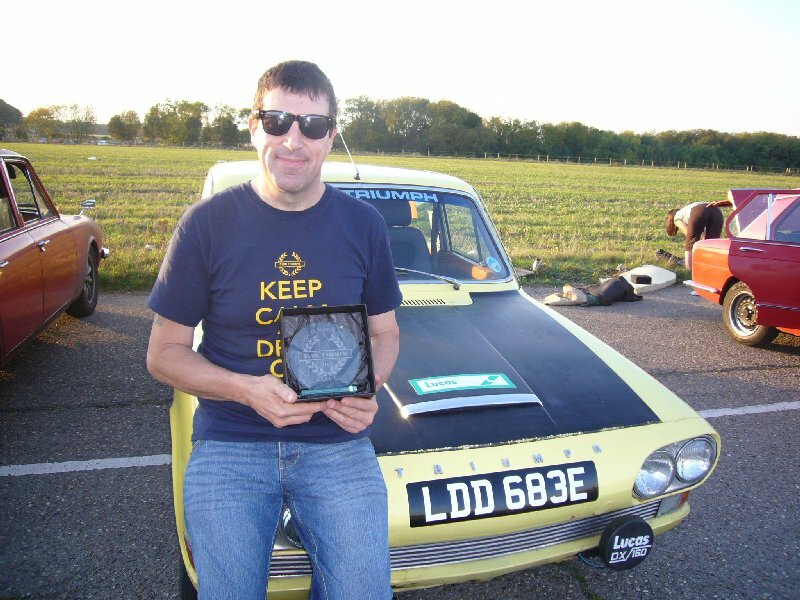 Dave had moved up to third and due to still not being able to beat a very quick 2.5PI, I had to make do with 2nd in class.